Todays ONS figures show growth of 2.5% in the last year, below the glory days of double-digit growth, but respectable given current worries. Despite this, investors remain nervous. Many housebuilding stocks are trading at massive discounts, while offering investors yields as high as 10% in some cases. This could be a massive buying opportunity as sentiment is likely to surge if we get some clarity on Brexit. FTSE 250 construction group and housebuilder Galliford Try (LSE: GFRD) has a crazy forecast yield of 10.2% a year. Thats more than 5.5 times the current consumer price inflation rate of 1.8%, and six or seven times what you would get on easy access. The groupsstock is up 7.5% today after it posted a 4% rise inpre-exceptional pre-tax profits to a record 84.2m, as it built more houses. Its Linden Homes and Partnerships & Regeneration ops built a total of 3,069 homes, up from 2,878 last year. Net debt fell from 85m to 40m during the first half of the year, while average net debt fell from 203m to 126m.Chief executive Peter Truscott hailed a strong financial and operational performance, adding that the group is well capitalised with average net debt below previous guidance. Galliford declared an interim dividend of 23p, down from last years first-half payment of 28p, in line with its policy of keeping cover at 2. This suggests to me that the dividend is secure, despite its large size. 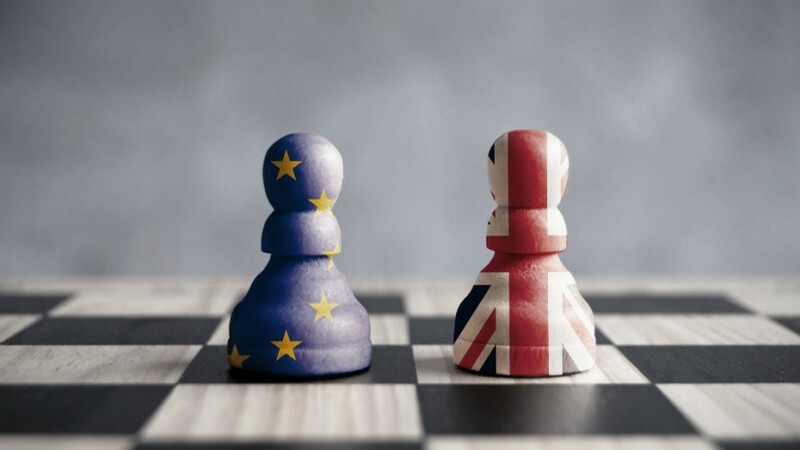 Truscott said current political uncertainty is hitting consumer and business confidence, and Linden Homes could take a hit if the UK leaves the EU without a deal, due to a potential severe decline in consumer confidence and economic activity. Galliford is preparing for any supply chain disruption while noting that it is impractical to try to insulate our business entirely.Trading at just 5.1 times forward earnings, the risk is in the price. FTSE 100 housebuilder Taylor Wimpey (LSE: TW) has also been through a rough patch, its stock down 10% over the past year. That leaves it trading at around 7.9 times earnings, though, which suggests another bargain to me. Im not the only one, Peter Stephens says it has a strong balance sheet with a net cash position, which should sustain dividend growth. The housing market needs a happy Brexit, if there is any such thing.If the cloud is lifted, Galliford Try and Taylor Wimpey could fly. Westminster will decide that. You could take a chance and buy now. Just know the risks.